Weather Tight is Milwaukee’s window leader. Our windows are high quality energy efficient windows that have a lifetime transferable warranty. Weather Tight offers high quality durable thermal vinyl siding that will reduce noise and energy bills. We also offer beautiful engineered wood siding. Weather Tight is a trusted Milwaukee roofing contractor. We offer long lasting steel metal roofing and Owens Corning asphalt shingle roofing. An Entry Door can add both beauty and resale value to your home. Our Doors are of the highest quality and feature a lifetime warranty. Our elegant Restorations Sliding Patio Doors have the look and feel of a classic door and the safety and security to ease your mind. Weather Tight offers a unique seamless gutter system in several attractive colors to help keep your home safe from water damage and mold. We proudly serve ALL of Southeastern, WI. Click on one of the cities below to see where we have done work near you, or click here to view all of our work. Weather Tight is a family owned and operated company that has been serving the nine-county area of Southeastern Wisconsin since 1986. 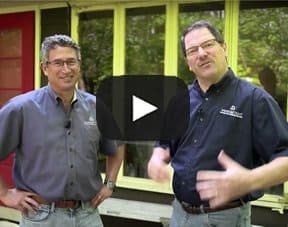 Weather Tight is Wisconsin’s largest exterior home remodeler. Our team of employee owners is deeply invested in the success of your project. Weather Tight is very proud of the countless number of awards we have won throughout the years. Weather Tight strives to make sure our customers remain happy throughout the life of their products. Our customer service is top notch. We want every experience with us to be a positive one. I wanted to express my happiness about my windows. There is major construction going on by my home and was shocked by how quiet the windows are keeping the house. I currently have guests staying in my home and am happy that they were able to still sleep with all the trucks and construction noise. The installation crew was professional, polite & friendly. Our door and sidelights more than met our expectations. We love it. The crew worked non-stop all day making it look perfect. Thanks!!! Everyone was very helpful & worked with me in a professional manner. I was impressed with the installation crew & the end result. I would recommend Weather Tight & will use them in the future as a need arises. Our installer, was very efficient, cordial & polite. He never took a break even though the weather was in the single digits. I would recommend your company to a friend. I appreciate the fact that the crew installed both the gutters & gutter protection on one of the coldest days of the year! They were professional, polite, & had a great sense of humor. All of the staff was professional, informational, and friendly. The crew that installed the windows was prompt, did an excellent job explaining the product, & cleaned everything. 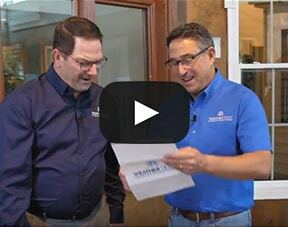 Weather Tight is celebrating over 30 years in the industry with over 25,000 happy customers. 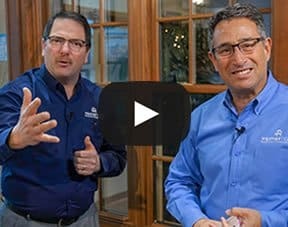 Our free in-home, no-obligation consultations and price quotes mean you can feel comfortable starting the conversation of remodeling your home without the pressure of making any fast decisions. Our professional remodelers will work with you at your pace to give you exactly what you’re looking for—and if you’re not sure what kind or style of windows, doors, siding, or roofing that is, we’ll make choosing easier by walking you through your options. 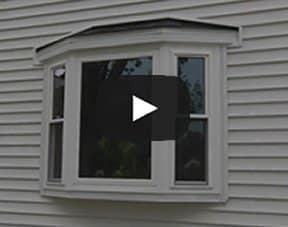 • Windows—We have a full selection of double hung, casement, sliding, full-frame, bow and bay, and garden windows. There are countless color, glass, pane, and grid options. Our sales representative will assist you with finding the perfect fit for your home. • Siding—We offer several attractive options of siding including: engineered wood, vinyl, shakes and scallops, and soffit and fascia Check out our many color and style options for our siding. • Roofing—Weather Tight offers metal and asphalt shingle roofing. Homeowners have many Milwaukee roofing options. It can be hard to find a roofing company that you can trust. When you choose Weather Tight, you have nothing to worry about. We’ve fully bonded and insured and we’ve been in business for over 30 years. We’ve even won the Better Business Bureaus Torch Award for Ethics. Not many roofing companies can say that. Weather Tight offers many varieties of metal and asphalt roofing for you to choose. • Gutters—Weather Tight gutter protection will save you from climbing the ladder to clear your gutters. Gutter protection is available in 13 colors and can be installed on virtually any roof. • Doors—We have entry, patio, and fire doors available. Weather Tight offers countless color, glass, and hardware options to give you the custom entry door of your dreams. Your house will have curb appeal that will make you the talk of the block. We are Wisconsin’s most recommended remodeler, serving nine counties in Southeastern Wisconsin and holding strong with an A+ BBB rating. We guarantee all of our product installations against defects or your money back—and our factory-trained service department will take care of your warranties for you so you never miss out on coverage. Give us a call today at 414-459-3874, come visit us and tour our West Allis showroom, or contact us online to schedule an appointment.